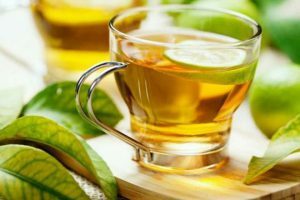 Are you looking for the best green tea for health and enjoyment? 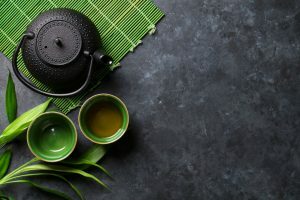 Green tea holds a special place in cultures in and around Asia. 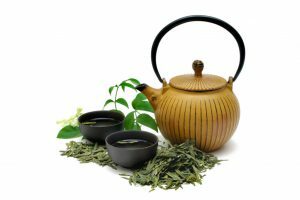 Unlike many of the soft drinks and liquors we take these days, green tea is one of the few drinks that can help us relax and be at ease. It has a number of health benefits and is generally a highly nutritious and healthy alternative to most drinks. The number of health benefits green tea offers depends upon the quality of the herb we’re drinking. This is why it is important to understand what good green tea is and how we can educate ourselves in the art of finding the best green tea available in our polluted world. In this article, we will help you find the best green tea for your personal consumption. But before we go out looking for the best green tea the world has to offer, we will also talk a bit about the herb itself and how to differentiate between different forms of the herb. There are a number of factors when it comes to getting the best green tea around. You’ll want to look at the origins of the leaves, when it was picked and of course, which parts of the plants were used. It’s a bit like browsing through fine wine but healthier. First of all, you need to understand your own preferences. Do you prefer a sweeter elixir or are more inclined towards a bitter tonic? Are you drinking green tea purely for its health benefits or do you savor its flavor? If health benefits are your primary motivator, then you should opt for loose leaves and avoid the processed options. 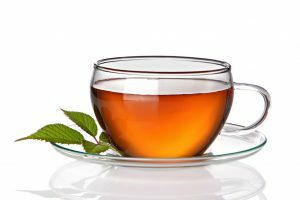 The following are a few types of green tea you should try to acquaint your taste buds with. Jasmine green tea has a lovely floral aroma and a particularly sweet taste that will help satiate your sweet tooth while enjoying its many health benefits. If your primary motivation for drinking green tea is its health benefits, then matcha green tea is what you want. You can use matcha not just as green tea but also as an additive to other drinks such as lattes and smoothies. Sencha is a common form of green tea. It has a bit of a grassy flavor to it, and some even compare its taste to seaweed. When most people talk about the green tea, they are mostly talking about sencha. Dragonwell is another popular type of green tea. Its taste is often defined as mild compared to other variants. Its taste could be described as a bit sweet with heavy chestnutty undertones to it. Houjicha lies at the extreme end of the green tea spectrum. 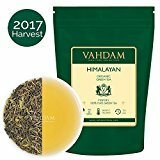 It is a bit low in caffeine compared to its counterparts but tends to have a unique woody flavor that most coffee drinkers would love. 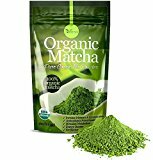 Matcha Green Tea Powder offers completely pure and organic matcha. It offers a number of health benefits aside from being a delicious drink. It can help increase our energy levels and help us focus better. The drink will revitalize you and help you concentrate better. It is the perfect drink if you need hours of steady energy without the crash associated with caffeine. It is also a natural fat burner; there is no disputing this simple fact. Matcha green tea will increase your resting metabolism while at the same time boost your body’s capacity to oxidize fat. Now, of course, this doesn’t mean you will start losing weight without doing anything, but it certainly helps if you’ve already adopted a healthier lifestyle. 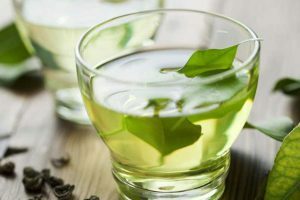 One of the key features of this particular type of green tea is that aside from the 137 types of antioxidants found inside the green tea, it also contains manganese. Manganese is an essential mineral that helps improves our skin, bones and a number of other aspects of our health and physical appearance. The green tea comes in a special type of packaging, which is known as health-grade packaging. Health-grade packaging offers an airtight pack that is free from many of the harmful substances used in modern manufacturing such as BPA. This ensures that our green tea doesn’t have any adverse effects on our health and stays fresh for an extended period of time. The green tea is freshly imported from Japan, a country with particularly high food and health standards. 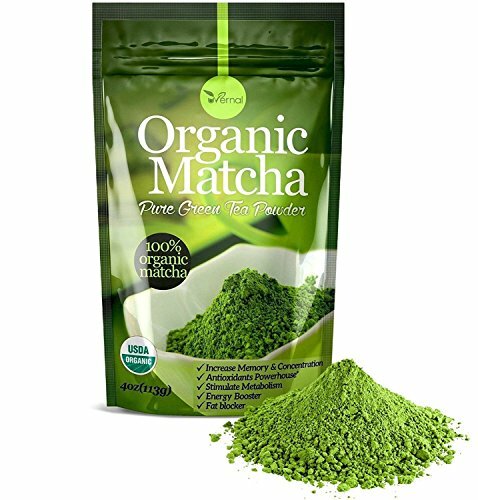 The green tea is also certified as organic matcha by USDA, an American food-safety government agency. The culinary grade green tea powder can be used for more than simply brewing a hot cup of tea. You can use it in your lattes or in your freshly baked brownies. Culinary matcha is primarily used as a cooking ingredient or an additive. 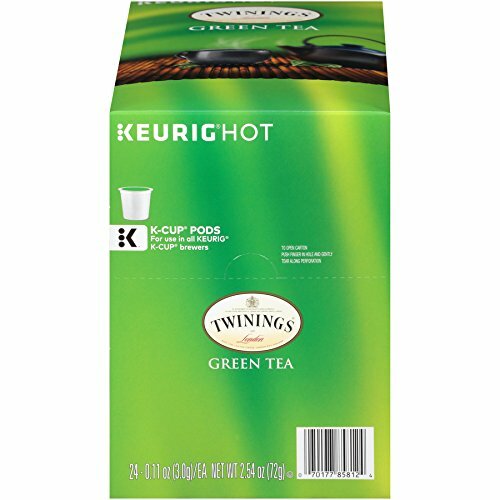 Twinings Green Tea comes with 24 servings and offers a refreshing blend of delicate flavor and a light golden color. It offers a soothing and refreshing experience. It comes in the form of K-Cup pods, which are used with Keurig brewers for optimal flavor and experience. The Twinings green tea offers a type of green tea called, Sencha. Sencha is widely known for its mild grassy original flavor. It offers one of the most soothing experiences among other types of green tea. It isn’t particularly high in caffeine and generally isn’t used as a pick-me-up instead it is used as a refreshing drink that helps us relax and calm our soul from the excitabilities of life. 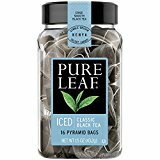 This brand of green tea offers convenience along with pure and natural green tea. Since it is available in K-pods a popular form of packaging for tea and coffee, all it needs on our part is to put it in a brewer, and our green tea is as good as ready. The ideal combination of convenience and purity ensures a healthy product that doesn’t take much effort to prepare. The tea offers a relatively less sweet and less creamy version of most chai lattes. However, it is incredibly delicious with its use of purely natural flavors. At just 50 calories per serving, it is an amazingly delicious drink that will satiate any taste buds and will help you lose weight even if you feel like having two cups at a time. It is not compatible with the Keurig 2.0 brewer. 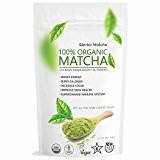 Starter Macha is a brand of organic matcha green tea. 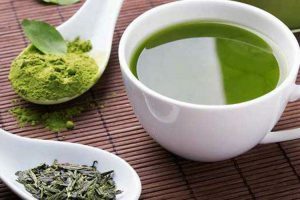 It is a culinary grade green tea powder, which means it is intended to be used primarily in other edibles and drinks and not for brewing green tea. It is an ideal way to boost health benefits for your regular drinks such as a protein shake, smoothie or black tea. Starter Macha provides four to six hours of sustained energy depending on metabolism level and body mass. And, it provides us with energy without the crash associated with coffee and caffeine. It also helps maintain our mood and helps us focus and boosts our concentration levels. It offers a healthy alternative for our midday pick-me-up. 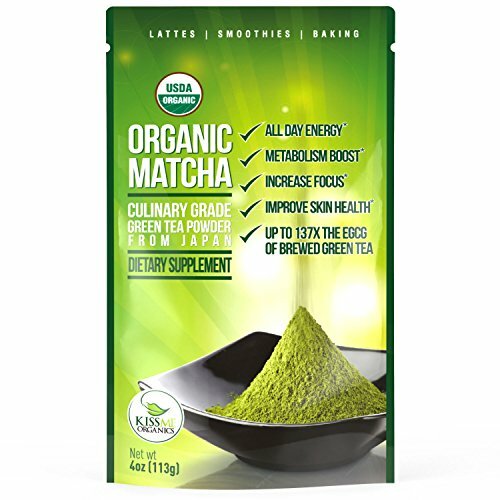 The organic matcha is packed with hundreds of different types of health-inducing antioxidants. Hence, it is an effective way to boost our immune system and fight against damage caused by free radicals. Aside from all of the overall benefits to our health, it also improves our physical appearance by improving our skin and hair. The herb also increases our metabolic rate and enhances our body’s capacity of fat oxidization. Hence, it can help us naturally lose weight, though we would also have to adopt a healthier lifestyle. It has a bit of a nutty and earthy taste to it and goes perfectly with smoothies, pastries, cakes, etc. It has natural fat burning properties. 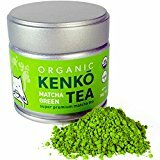 As culinary grade matcha, it doesn’t work well for brewing green tea due to its bitter taste. 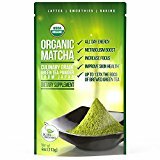 The Organic Matcha Green Tea Powder offers a number of benefits to our long-term health along with a short-term boost to our energy levels. It contains L-theanine, which is considered as one of the cleanest and healthiest sources of energy. A single serving of this brand of matcha can provide energy for up to six hours without the impending crash associated with caffeine. Matcha naturally contains caffeine. 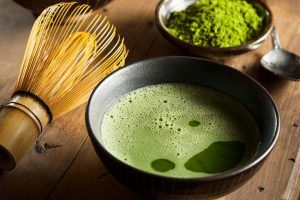 However, the good thing about matcha is that the caffeine is released from the matcha during the digestive process at a much slower rate and enters the bloodstream in a sustained manner. This allows us to feel energized and focused for much longer periods of time without having to experience the crash when caffeine ultimately leaves our system. This brand of matcha will also help you improve your digestive process. The slow and sustained release of caffeine into our bloodstream has a calming effect on the body in general, but it also boosts our digestive process and enhances our body’s cleansing mechanism. It will also help you lower your cholesterol level. 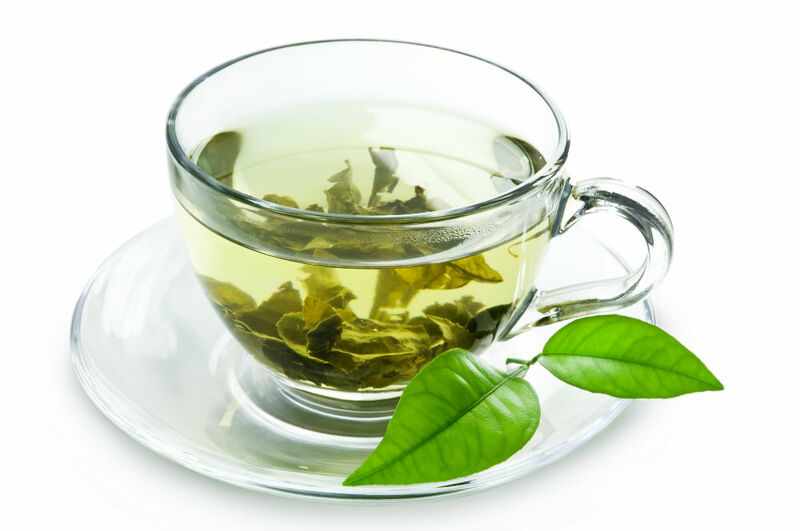 We’re all aware of the benefits of green tea and among them is its ability to lower our cholesterol levels. It can help us lower our LDL levels while at the same time increase HDL or good cholesterol levels. Moreover, it also contains EGCG, which is a compound naturally found in matcha that helps improve our skin and offers countless other health benefits. As culinary grade matcha, it is not ideal for brewing into green tea. 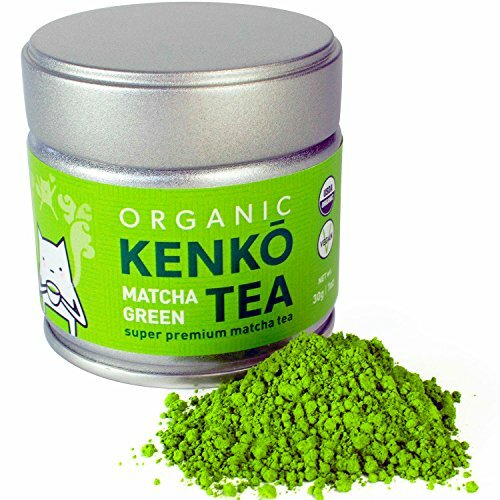 Kenko Matcha Green Tea Powder is a premium brand of matcha green tea. It offers a number of health benefits like increasing energy levels, enhancing our ability to focus and concentrate while at the same time boosting our metabolism. The reason Kensa Match Green Tea is considered as a premium brand of green tea is because of the care and effort that goes into growing the tea leaves. It is shade grown, and hand-picked to minimize the damage associated with mass agricultural techniques. The leaves are then air dried to ensure the leaves don’t lose any of their natural health-inducing properties. Finally, the dried tea leaves are stone ground to perfection and ready to be shipped to our doorsteps. It is a USDA-approved organic and is free from any kind of GMO products. Since it is grown using organic farming techniques, it is free from all kinds of pesticides and herbicides. Moreover, the ground green tea leaves are then lab tested to ensure their nutrient content and maximum effectiveness. The green tea is grown in Japan, which is known for its high-quality green tea. Also, the green tea is certified ceremonial grade, which is the highest possible quality of green tea you could possibly ask for. 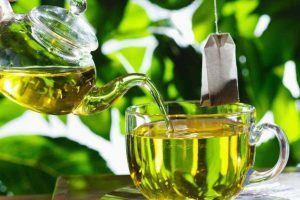 It will ensure that you get the most benefits from the green tea you’re drinking, and you don’t experience any jitters despite having up to six hours of sustained energy. 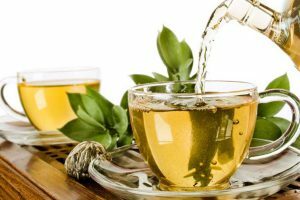 It has 137 times the antioxidants found in regular green tea. The tea leaves are grown using organic farming practices. It is free from any harmful substances such as GMOs or pesticides. Unless very careful while brewing, it tends to clump into chunks. The tea doesn’t hold the froth as well as most other matcha green tea does. What are some of the Benefits of Green Tea Matcha? Green tea matcha has over ten times the antioxidants of green tea and 70 times that of orange juice. This is because you end up consuming the entire leaf rather than just soaking it in water. Brewing matcha tea is a bit different from seeping tea leaves. First, you want to put a small amount, around one teaspoon, ground into a bowl. Then you will pour hot water into the bowl but make sure not to put boiling water as it would scald the powder. Then let it sit for about three to five minutes and follow it with 30 seconds of whisking. How Do I Differentiate Between Sencha and Matcha Green Tea? For some odd reason, most green tea powder sold online is done under the pretense of being matcha. However, only a small amount of it is actually matcha green tea. Although both types of green tea are made from the same tea leaves, they undergo completely different processes. You can differentiate between the two from their color and of course, their taste. Sencha green tea powder has a dark green color with an astringent aftertaste. Matcha green tea, on the other hand, has a lighter bright green color; it has a creamy taste with no real aftertaste. Also, matcha has far more caffeine compared to Sencha. Are There Other Ways to Enjoy Green Tea? Of course, it can. Powdered green tea is highly versatile in its use and can be used as flexible as our imagination permits. If you’re new to powdered green tea, you can blend the powder into almond milk to create milt green tea lattes or smoothies. You can even use yogurt and berries to enhance the taste of the smoothie further. 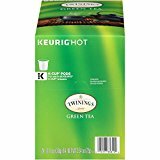 Can I Make Hot Green Tea Without a Whisk? Absolutely! All you have to do is add some hot water to the powder and make a smooth paste. Then simply fill the cup up with hot water. The whisk is recommended because it creates a frothy bowl, which creates a pleasant airy texture, which tastes simply divine. 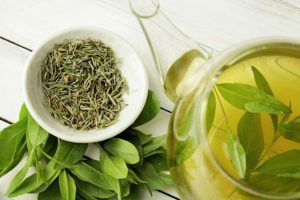 After going through five different types of powdered green teas, we still have to come to a conclusion as to the best green tea for our taste buds as well as our health. There is no doubt that all five brands of green tea we reviewed are high-quality products. However, we still have to choose the best based on their individual characteristics. Out of the five different brands of green tea, the one that stands out the most is Kenko Matcha Green Tea Powder. It is shade-grown, hand-picked, air-dried and ground into its powdered form. Since it is grown using organic farming practices, it is free from all kinds of toxic chemicals such as pesticides and herbicides. Hence, we’re inclined to nudge your attention towards this fine matcha green tea product. It truly is a superior product.